Vanderbilt Baseball infielder Jayson Gonzalez was just a fourth grader when he made this announcement to his parents, Wallace and Adela. Given that he was a quiet, humble kid, Jayson was certainly not the frontrunner for president. For that very reason, his parents weren’t too confident in the decision. “Son, I’m not so sure how to put this. 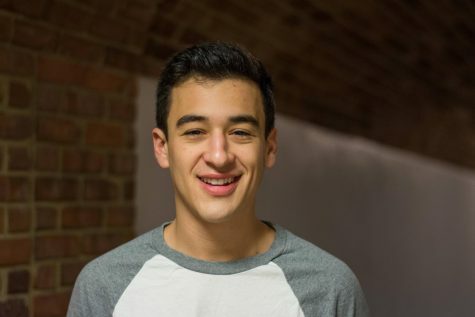 We really don’t do student body,” said his father. Wallace Gonzalez chuckles every time he tells the story. 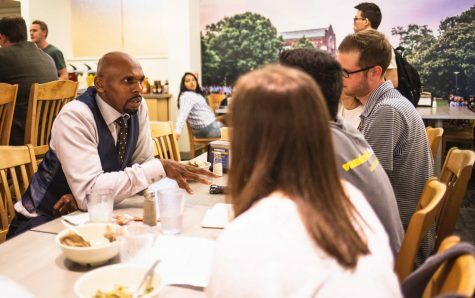 His hard-work got him to where he wanted to be; the Commodore was elected student body president as the underdog candidate. Jayson knew that the lessons he learned would come in handy. From a young age, Jayson Gonzalez would set lofty, ambitious goals for himself, knowing that there was only one way to achieve them. According to Cam Saylor, Jayson’s middle school baseball coach, that one method is simple. “He can literally complete the sentence,” he said. “If someone said to him, ‘there is no substitute for…’ he would immediately reply, ‘hard work’”. He knew that hard work and dedication would always give him the results he wanted, regardless of how daunting the task may be. It became abundantly clear to Wallace and Adela that this wasn’t about Jayson being one of her best students, it was about Jayson being Jayson’s best student. He wouldn’t be satisfied until he could achieve his own goals. A 6th grader already looking at colleges? Nonetheless, one of the top colleges in the nation? Jayson was, and still is, a perfectionist in all the best ways. He wanted to go to a college that had one of the best baseball teams in the nation, coupled with impeccable academics. As a product of West Covina, California, Stanford happened to be the nearest school to fit his mold. Those two conditions never changed, but the college of choice did. 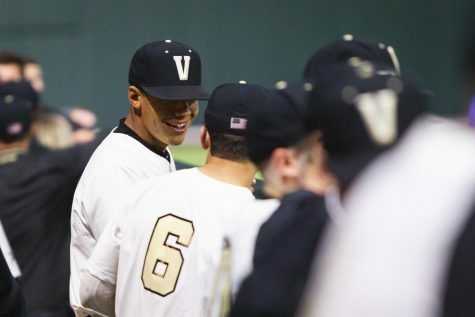 When he saw an ESPN segment on David Price and his experience at Vanderbilt, Jayson was first introduced to the legend of Coach Corbin. As the story goes, Price was so fed up with his freshman year workload and countless hours on the diamond that he tried to quit baseball altogether. Price planned on going home, working at McDonald’s, and attending a junior college. Then, along came Tim Corbin. 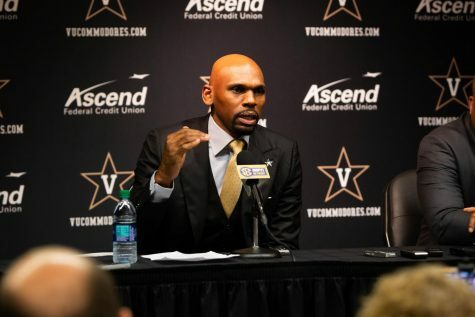 The Commodores head coach was not going to let him quit baseball that quickly. Corbin helped change Price’s mind. He continued to pitch three stellar seasons, got drafted first overall, got named to five all-star games and won a Cy Young. The current Red Sox pitcher wouldn’t have achieved any of this if Corbin hadn’t stepped in. 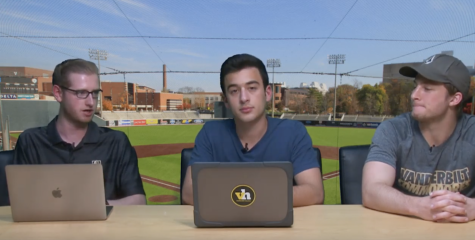 That was enough to convince Jayson that Corbin, the highly-touted baseball program and the fantastic academic rigor would make Vanderbilt the perfect place for him. His mother, Adela, knew it would be tough, but never doubted her son’s work ethic. She knew that if he wanted to, he could make it across the country to attend such a prestigious institution. Jayson’s self-set goals proved her point; he could achieve whatever he desired. 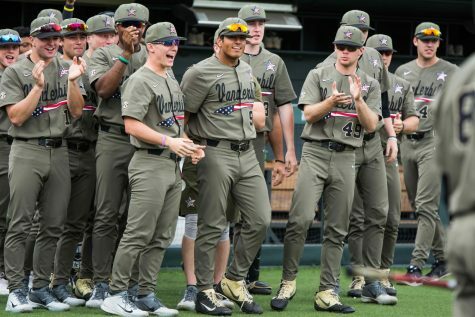 Ever since Jayson played for the West Covina Dukes in middle school, Coach Saylor knew Jayson had what it took to attend Vanderbilt. Then of course, things weren’t much different on the field. Saylor said that it came even more naturally to Jayson. Jayson’s skill set seemed to develop naturally, but baseball is largely a mental game. Lucky for him, he had all the help he needed. Jayson’s father, Wallace, and his brother, Wallace III, played professional ball for the Atlanta Braves and Houston Astros organizations, respectively. He was able to learn from the two; he knew what to expect, and how to deal with the negativity that one might encounter. His talented family taught him invaluable lessons, which Jayson applied well to his everyday life. 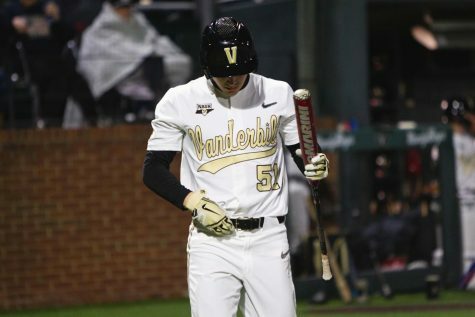 Even now, as a Vanderbilt student-athlete, Jayson will never forget one particular lesson. In fact, he now labels it as one of the most important memories of his baseball career. Jayson continued to play with the older kids, only now, the ball was hit to him. Needless to say, he was ready. 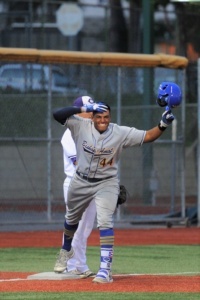 Jayson celebrates a hit while at Bishop Amat high school. Jayson was never fazed by the pressure. Jared Sandler, Jayson’s high school travel coach, knew that the older kids may have been on his tail, but he wouldn’t have an issue staying composed. In the end, Jayson’s mental toughness helped him thrive. 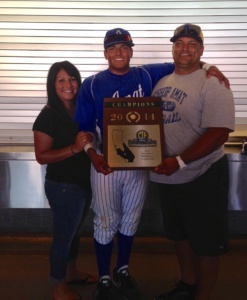 He truly proved his worth as a freshman, as he propelled Bishop Amat to a state championship. Jayson, Wallace, and Adela hold the state championship trophy after Bishop Amat’s win. 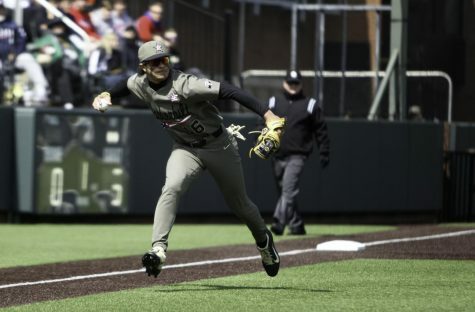 Finally, Jayson’s talents brought him all the way to Vanderbilt, his dream school. Wallace was a proud father, but never truly understood the implications of being Commodore until Jayson’s senior year of high school. It’s more than a team; it’s more than a community; it’s a family. When Jayson was selected to participate in the high school home-run derby during the 2016 MLB All-Star Week in San Diego, he was put in the same hotel as many major leaguers. The day he arrived, Wallace was sold. Jayson may not have won the home-run derby, but he sure made his mark with a jaw-dropping 437 foot bomb (video from MLB.com). 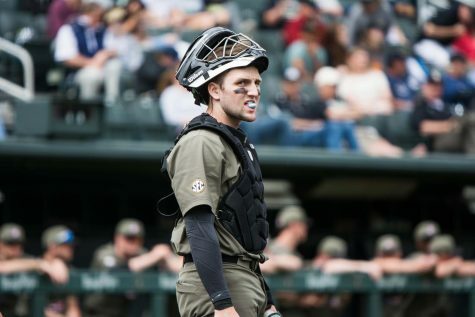 Swanson and Fulmer both understood the immediate impact Jayson could have on the Commodores. Thankfully, Coach Corbin saw the same, and granted Jayson playing time as a true freshman. In March, Gonzalez was named SEC freshman of the week for hitting .364 with five runs batted in and a .462 on base percentage in three games. Shortly thereafter, Jayson suffered an unfortunate injury that limited his playing time. 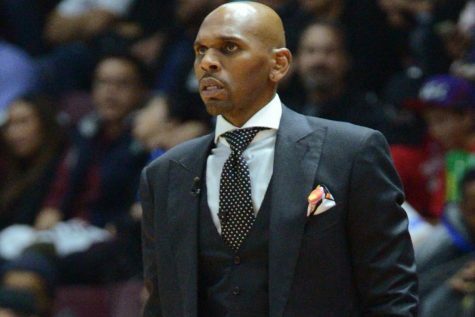 If his story tells us anything, it’s that he has the mental strength, dedication, and exemplary work ethic to return with more prowess than ever before. “Oh of course I’ll be back,” Gonzalez uttered with a smile.